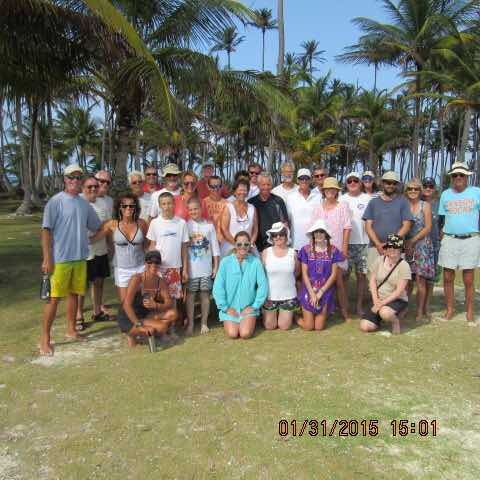 As the Blue Planet Odyssey boats that left from Key West and Martinique finally came together in the San Blas archipelago, they organised a get together on Saturday 31 January. Yesterday we sailed 30 nautical miles to BBQ island where we are now anchored. Today at noon we had a lunch for all the boats on the BPO which included those that started in Martinique and those that started in the Florida Keys. It was great to finally meet everyone and catch up on their trip to this point in time. 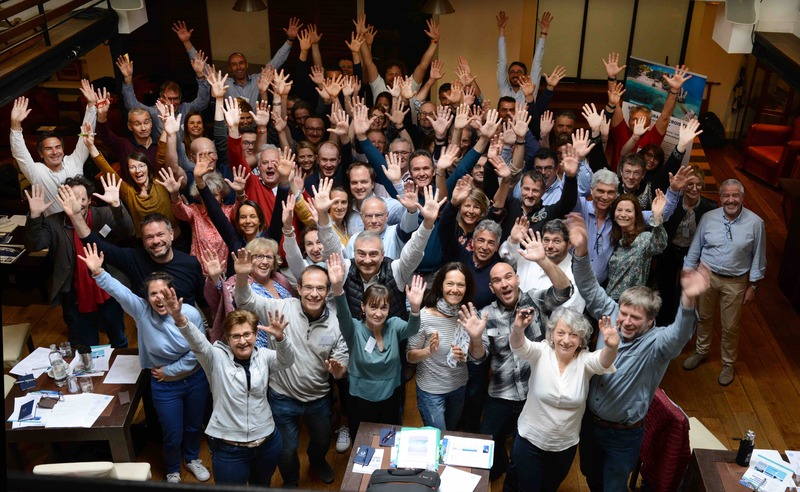 Many stories were shared, new friendships were started and old acquaintances were rekindled. The start time was delayed by a rain shower but soon everyone arrived and the party began in earnest. Fish, lobster and sausages where cooked and shared as was fruit and baking. On our return aboard it was agreed it was a fabulous get together. We picked up the hook on the morning of Friday, January 30th and headed to BBQ Island in Eastern Holandes Cays, San Blas. It is the rendezvous place for the all the Blue Planet boats that have arrived from Key West and Martinique. We decided to anchor off the island of Banedup because there were high winds and salt spray coming off the reefs close to BBQ Island. As we arrived, we were surprised to see the boat “No Regrets” already anchored there. It is one of boats that was slated to leave Key West with us but had mechanical problems. Once their engines were fixed, they literally flew/sailed at record speed to arrive in San Blas to catch up with the BPO group. We arrived to the beach to find a few of the other boats and their crew already in attendance. We met BPO participants from OM, Maggie, Lovesail, Coconut Woman and Tom Tom. They were all happy to take a break from their boats and socialize with the Key West group. It was a great way to meet the owners and crew while standing on dry land. They all had their funny little stories of their travels and introduction into Porvenir, San Blas. After several hours of getting acquainted with everyone, I rounded everyone up for a group photo to document our first meeting. It was a delightful afternoon.